The tuition fee per academic year amounts to 1 800 EUR or 46 000 CZ for current students and the students enrolling for the academic year 2018/2019. 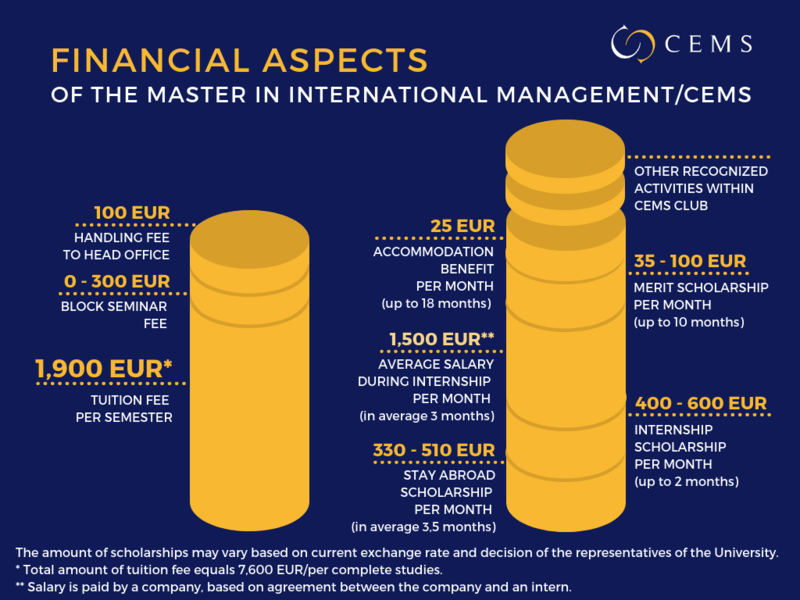 The tuition fee per academic year amounts to 3 800 EUR or 97 000 CZK for the students enrolling for the academic year 2019/2020. As of the academic year 2018/2019 accepted candidates will be requested to confirm their commitment by paying a non-refundable deposit of €400 or to decline the offer. Tuition fees are always due by July 31st prior to the upcoming academic year. For the second year students, the tuition fee is due by August 31st. 1st year students, who will participate in their exchange semester abroad during the Winter Term, have to pay the tuition fee before they apply for the scholarship. Bank name: Česká spořitelna, a.s.
We kindly ask students who pay fee in EUR to pay via bank foreign transfer/payment (or EUR cross-border payment for EU citizens) with OUR bank charges (= all the costs are covered by sender). While transfer with BEN bank charges (= beneficiary, all the costs are covered by recipient) the payment will not be accepted due to insufficient amount sent to the account. During standard time of studies (first two years) the fee has to be paid once a year. In case of prolonging the studies, the fee is paid by semesters.